7 And they said to one another, “Come, let us cast lots, that we may know on whose account this evil has come upon us.” So they cast lots, and the lot fell on Jonah. 8 Then they said to him, “Tell us on whose account this evil has come upon us. What is your occupation? And where do you come from? What is your country? And of what people are you?” 9 And he said to them, “I am a Hebrew, and I fear the Lord, the God of heaven, who made the sea and the dry land.”10 Then the men were exceedingly afraid and said to him, “What is this that you have done!” For the men knew that he was fleeing from the presence of the Lord, because he had told them. 11 Then they said to him, “What shall we do to you, that the sea may quiet down for us?” For the sea grew more and more tempestuous. 12 He said to them, “Pick me up and hurl me into the sea; then the sea will quiet down for you, for I know it is because of me that this great tempest has come upon you.” 13 Nevertheless, the men rowed hard to get back to dry land, but they could not, for the sea grew more and more tempestuous against them. 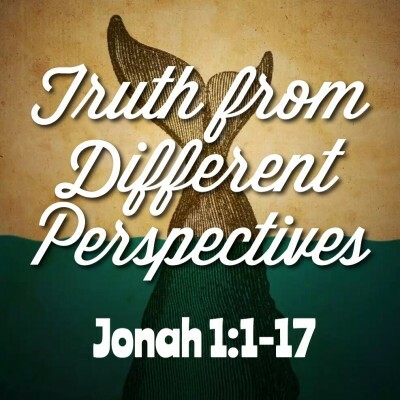 14 Therefore they called out to the Lord, “O Lord, let us not perish for this man’s life, and lay not on us innocent blood, for you, O Lord, have done as it pleased you.”15 So they picked up Jonah and hurled him into the sea, and the sea ceased from its raging. 16 Then the men feared the Lordexceedingly, and they offered a sacrifice to the Lord and made vows.